John Lewis Gaddis has 1 media appearance. John Lewis Gaddis discusses Surprise, Security, and the American Experience. Yale University historian John Lewis Gaddis’s portrait George Kennan: An American Life won the Pulitzer Prize in Biography this year and was more than 30 years in the making. Hailed as the “dean of Cold War historians” by the New York Times, Gaddis shares his unparalleled perspective on Kennan’s titanic influence on American foreign policy. 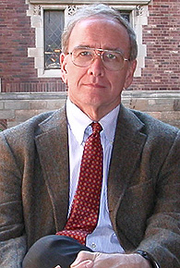 John Lewis Gaddis is currently considered a "single author." If one or more works are by a distinct, homonymous authors, go ahead and split the author. John Lewis Gaddis is composed of 4 names. You can examine and separate out names.